It is the middle of winter and you have this deep craving for a piña colada, but it isn't quite the right drink for the season. What do you do? Mix up the holiday spice, a fun adaptation that's winter-worthy! This cocktail is utterly delicious, easy, and offers a taste of two seasons in one glass. The holiday spice cocktail was created for Cîroc Vodka to feature the brand's coconut vodka. It includes coconut cream and pineapple juice for a touch of summer. Winter comes in via the comforting addition of milk and egg, which add to the creaminess, then it is all brought together with a few of the season's favorite spices. It mixes up quickly and would make a great addition to any holiday party. Combine the vodka, cream of coconut, pineapple juice, milk, egg white, and one dash of each of the spices in a cocktail shaker filled with ice. Shake vigorously for at least 30 seconds to ensure the egg is properly mixed. Strain into a chilled old-fashioned glass. Top with the remaining spices and coconut flakes. This drink is better when you use half of the spices in the shake, and reserve the remainder for a garnish on top. By doing this, you integrate the spices within the cocktail base while dressing up the drink perfectly. Adjust the spice uses and amounts to fit your tastes. Because this drink is not served over ice, it's best to chill your glass thoroughly before straining the drink. If you forget to put your glass in the freezer, simply place a couple of ice cubes in it while you're mixing, then dump them out. Coconut cream is not as sweet as cream of coconut, which is typically used in mixed drinks. If you are trying to cut sugar or want a more natural (unprocessed) ingredient, coconut cream is the better option. It is rich, has a buttery feel, and a great coconut flavor and it's relatively easy to make yourself. Adding the egg white gives the drink a lovely foam and adds to its creaminess. 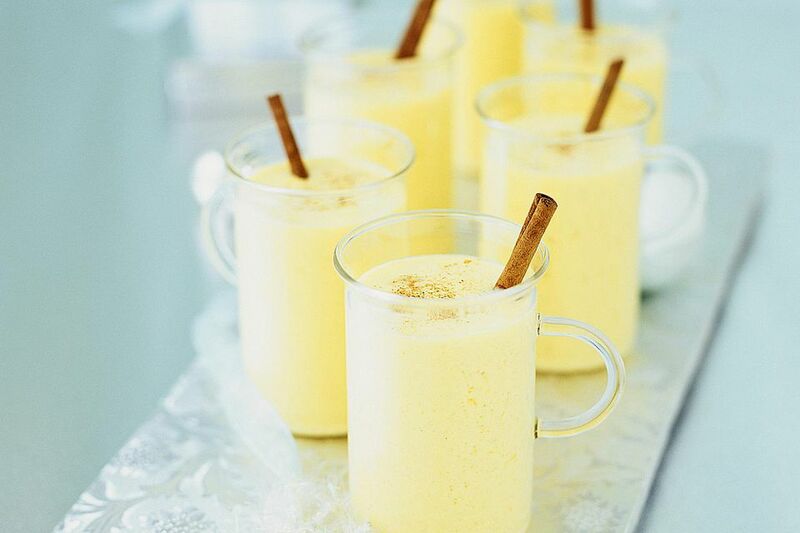 It does not create a really eggy flavor like eggnog (that comes mostly from the yolk). The key to safely drinking eggs is to ensure your egg is fresh. Do a quick water test by placing the egg in a glass of water; if it sinks, it's fresh. If you skip the spices, this recipe is a fantastic vodka piña colada that will work any day of the year. Some people do not like the thought of drinking raw egg, so skip it if you like. The milk and cream will still give the holiday spice a nice creaminess. How Strong Is a Holiday Spice? Like many flavored vodkas, Cîroc Coconut Vodka is bottled at just 70-proof, so it's a little lighter than the average vodka. With that and all the nonalcoholic ingredients, this cocktail is very mild. Its alcohol content should be around 11 percent ABV (22 proof), which is a lot like drinking a glass of wine, only far more delicious!